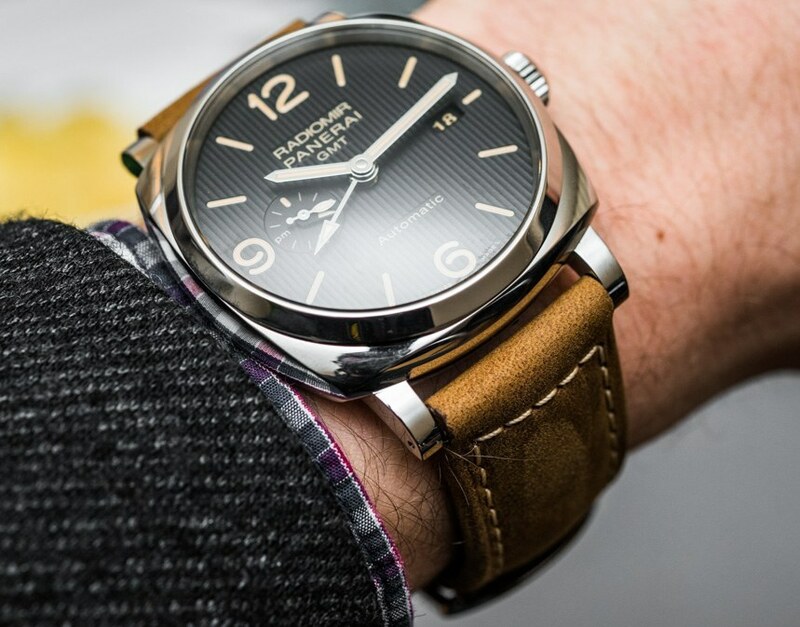 For 2016, there’s an emphasis from Panerai on growing its popular Radiomir 1940 collection. There are 4 new GMT models and, as is expected with Panerai, they all retain the classic and bold look from the brand. 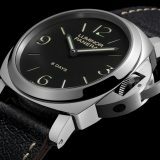 The 1940 line is essentially a hybrid combination of the Radiomir and Luminor watches, and is popular amongst Paneristi for this reason. New this year are four models featuring the GMT complication. 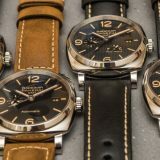 These would also be the first Radiomir 1940 models to feature the GMT complication that aren’t Special Edition pieces – Panerai-speak for limited edition watches. 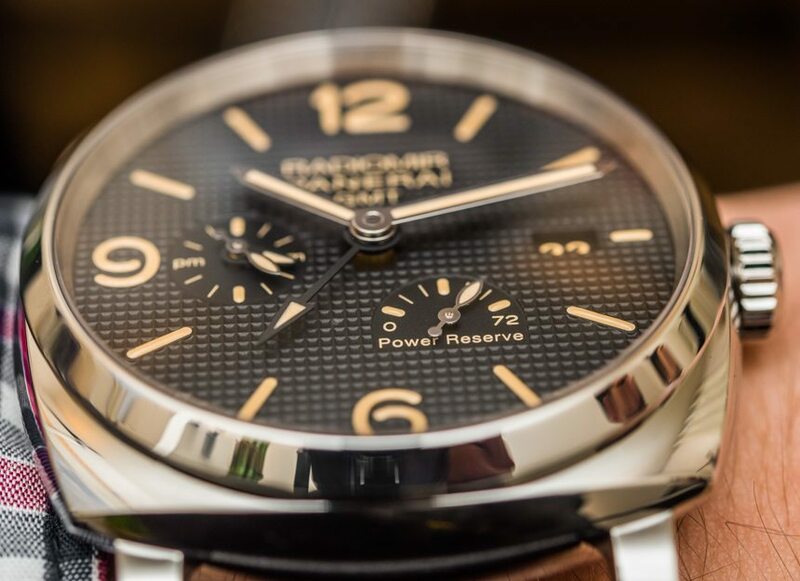 Let’s take a look at the Panerai Radiomir 1940 3 Days GMT Automatic Acciaio and the Panerai Radiomir 1940 3 Days GMT Power Reserve Automatic Acciaio watches. To break things down, there are two distinct versions and each will be available with two different types of dial. The two models in question are the aforementioned Panerai Radiomir 1940 3 Days GMT Automatic Acciaio and the Panerai Radiomir 1940 3 Days GMT Power Reserve Automatic Acciaio (by the way, acciaio is just Italian for “steel”). 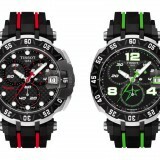 Essentially, the difference between the two is that one has a power reserve display on the dial while the other doesn’t. Price difference between the power reserve and non-power reserve models is only $200 so it’s really about the aesthetics for most buyers. Either way, it’s hard to really go wrong. 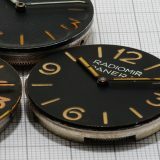 All four models will feature 45mm steel Radiomir 1940 style cases. Each model also comes in two dial variants, one with what Panerai calls “Paris hobnails” and the other with vertical stripes in relief. 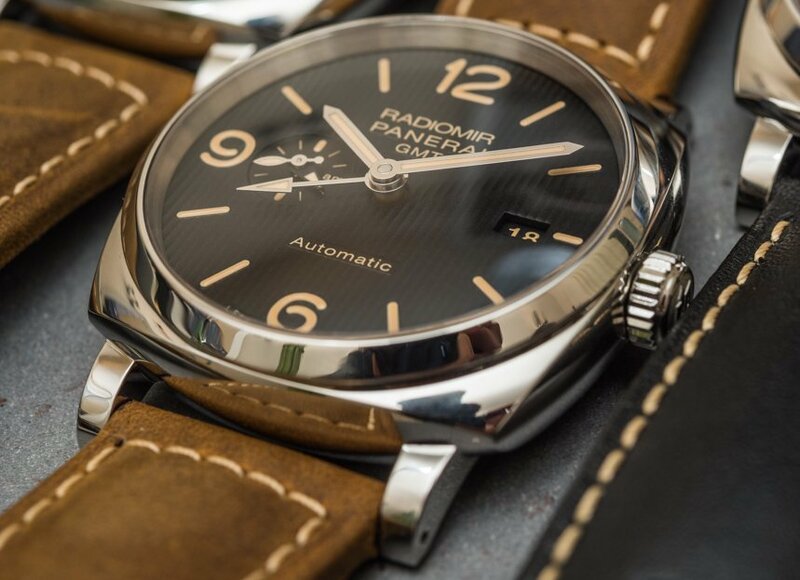 The two Panerai Radiomir 1940 3 Days GMT Automatic Acciaio models are the PAM 627 (with Paris hobnail) and the PAM 657 (with vertical stripes). 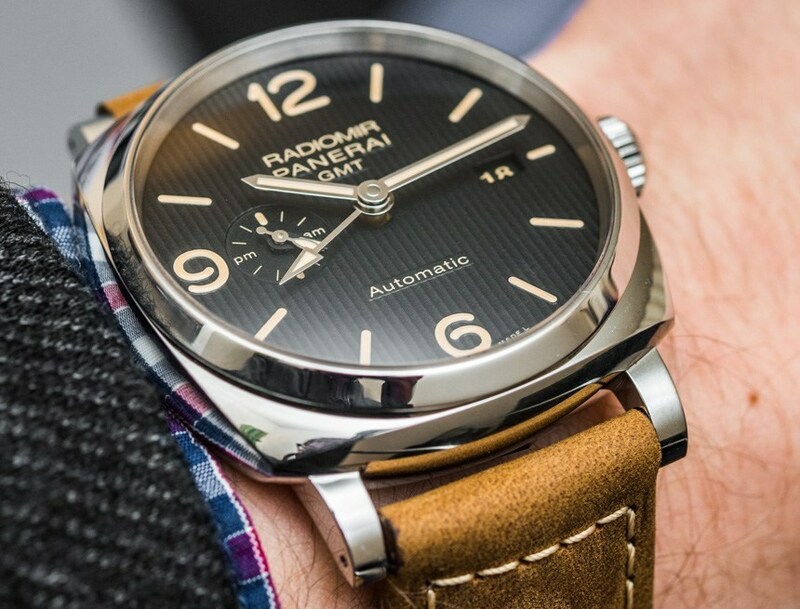 While the other two Panerai Radiomir 1940 3 Days GMT Power Reserve Automatic Acciaio models are the PAM 628 (with Paris hobnail) and the PAM 658 (with vertical stripes). Personally, I think both add a textural pop to the dial that is brilliant in its simplicity and effective in its execution. Really one of my favorite visual touches from the brand. 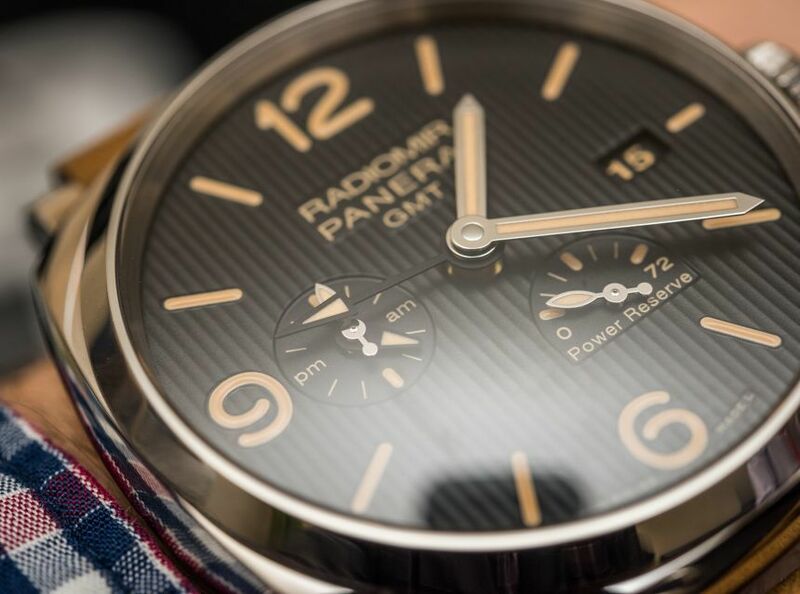 The two Panerai Radiomir 1940 3 Days GMT Automatic Acciaio watches will both be powered by the new P.4001 movement, while the Radiomir 1940 3 Days GMT Power Reserve Automatic Acciaio watches are powered by the P. 4002. 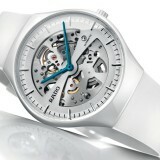 Both the movements are derived from the automatic P.4000 movement. Features of the P.4000 movements include: off-center micro rotor that rotates in both directions; 3-day power reserve stored in two spring barrels linked in series; and a balance-stopping mechanism. As for new functions, there is a date, GMT function, and am/pm indication on the small seconds dial. Both movements are the same, with the exception that the P.4002 has a power reserve where the P.4001 does not. 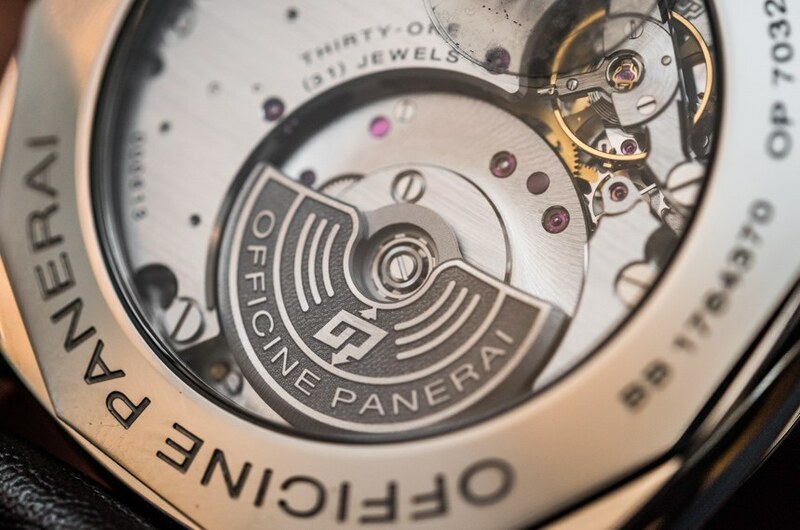 On a visual note, I love how Panerai adds the dodecagonal (12-sided) case back, it really adds such a cool touch. All four Panerai Radiomir 1940 3 Days GMT Automatic Acciaio and Radiomir 1940 3 Days GMT Power Reserve Automatic Acciaio watches have a 72-hour power reserve and are water resistant to 100 meters. 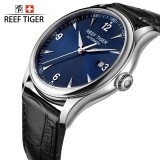 The water resistance should certainly at least be that high, since the 1940 line was actually named after the Italian Navy commandos around the year 1940. 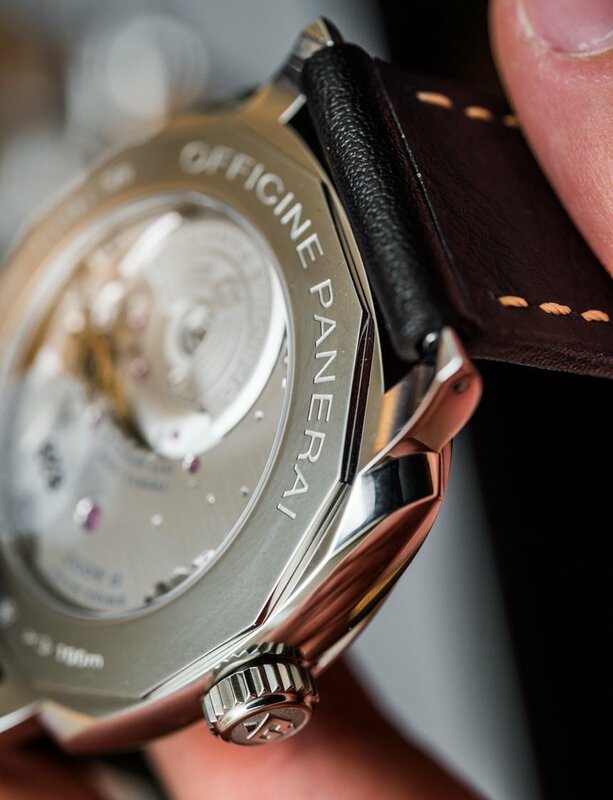 Another Panerai tradition the brand stuck to was focusing on legibility, as the GMT hand is nice and lumed. I like how they provided a GMT hand option that is completely lumed and one that has all but the arrow in black. Technically, the skeletonisation is quite realized as the rotor is engraved. It’s inscribed with “Officine Panerai”, and the skeletonised bridges and barrels can be seen under, also highly polished and finished. The 45mm instance is in gold, and the dial has a satiné soleil complete and Panerai’s “sandwich” structure, providing maximum visibility even in very low lighting. 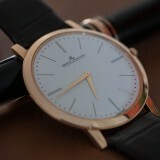 There are two variations, one with a black dial and one with a brown dial. We’ll admit that we are not utilized to seeing a Panerai watch as colourful as this, but this may be a boon to those looking for an eye-catching timepiece. As the official watch of the 35th America’s Cup, it proudly bears the colors of the yacht race in the kinds of contrasting stitching onto its own leather strap and accents on its own otherwise spartan dial. The race logo, on the other hand, are available embossed on said strap and also in relief onto the screw caseback. 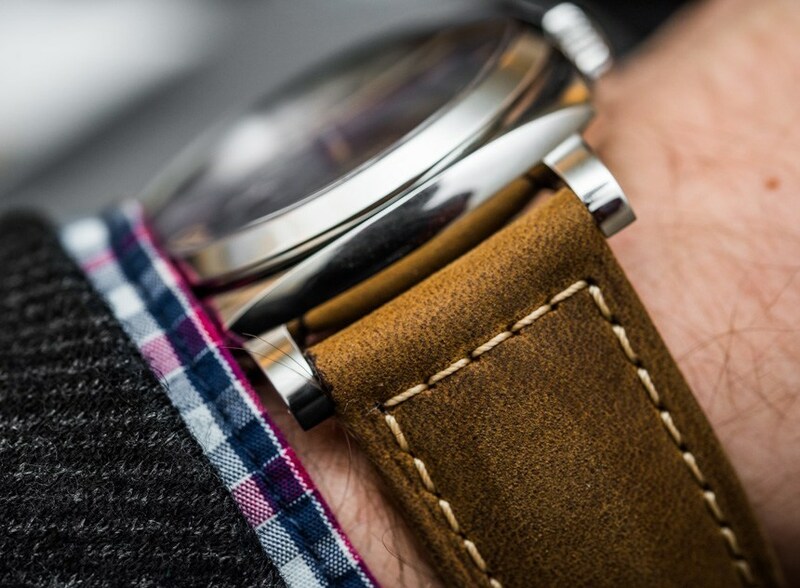 Having a hardy 44mm stainless steel case, it’s endowed with an automatic manufacture movement. 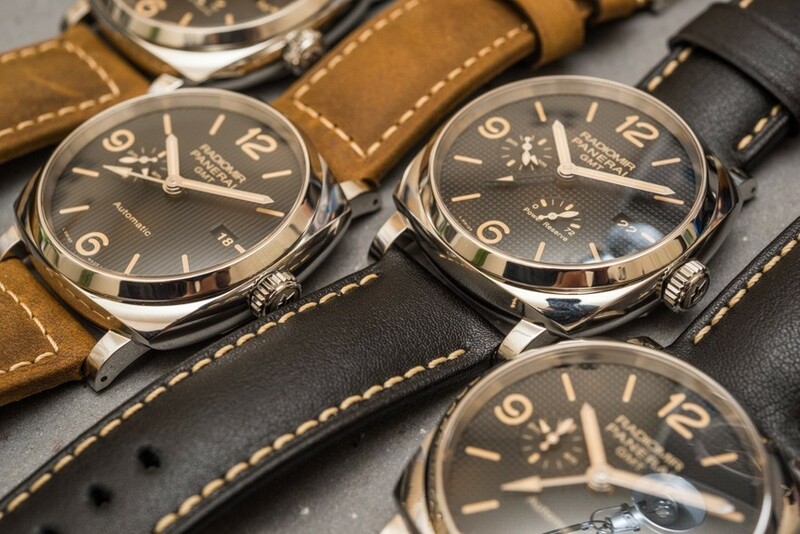 Limited to 300 pieces.If you are not knowledgeable about the roots of Panerai, here is a crash course. 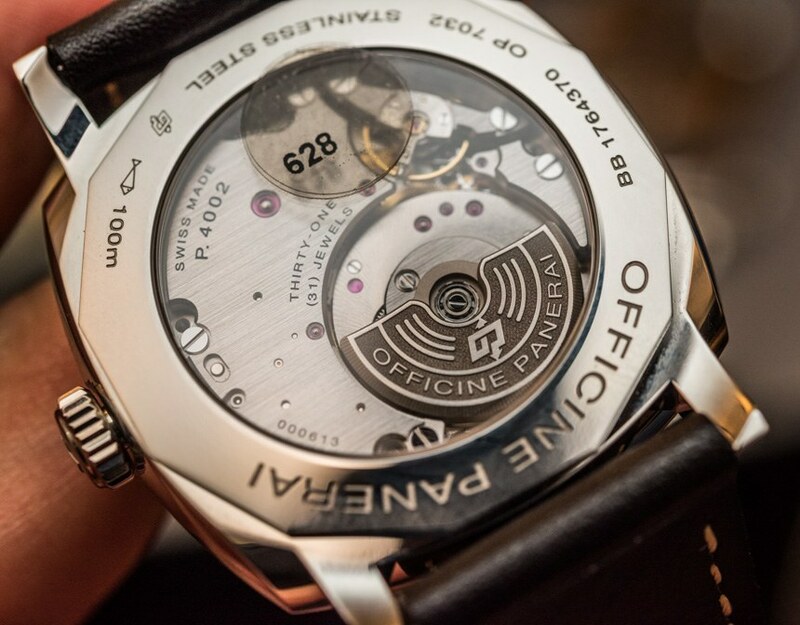 Based in Florence, Italy, Officine Panerai made business by manufacturing diving instruments–thickness gauges, compasses and the like–which had dials painted using all the brand’s patented radioluminescent paint, Radiomir. Panerai was contracted to provide this equipment to the Italian Navy, and as wartime struck, the Navy requested an additional bit of diving equipment the brand couldn’t create without external aid: an opinion. 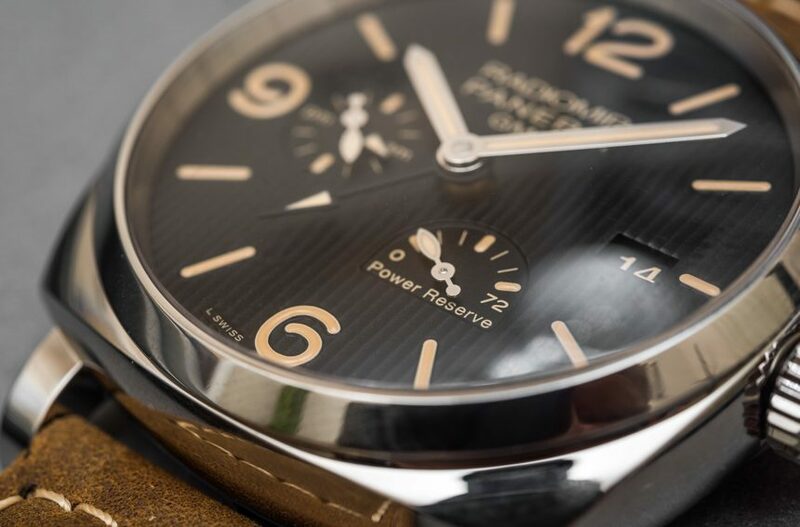 The fit and finish on all four of the watches is exactly what you would expect from Panerai, and the steel pieces kind of hit the sweet spot from the brand at 45mm. A lot of people say 42mm is too small and 47mm is just too large – again, Panerai seems to have gotten it just right with the sizing. The leather straps in black or brown both are high-quality and are in line with what you would expect when paying this kind of money. 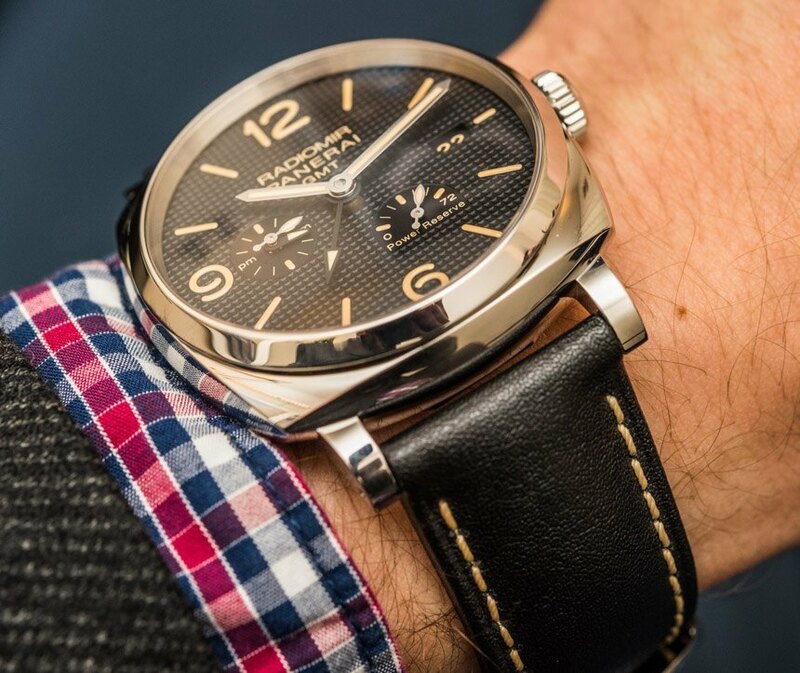 On the wrist, the watches feel comfortable and have a real presence, like most Panerai watches. 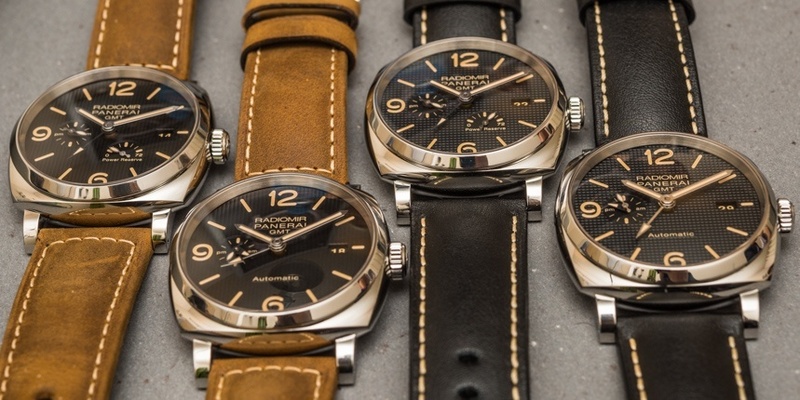 These four watches are great examples of how broad Panerai chooses to keep its watch options. 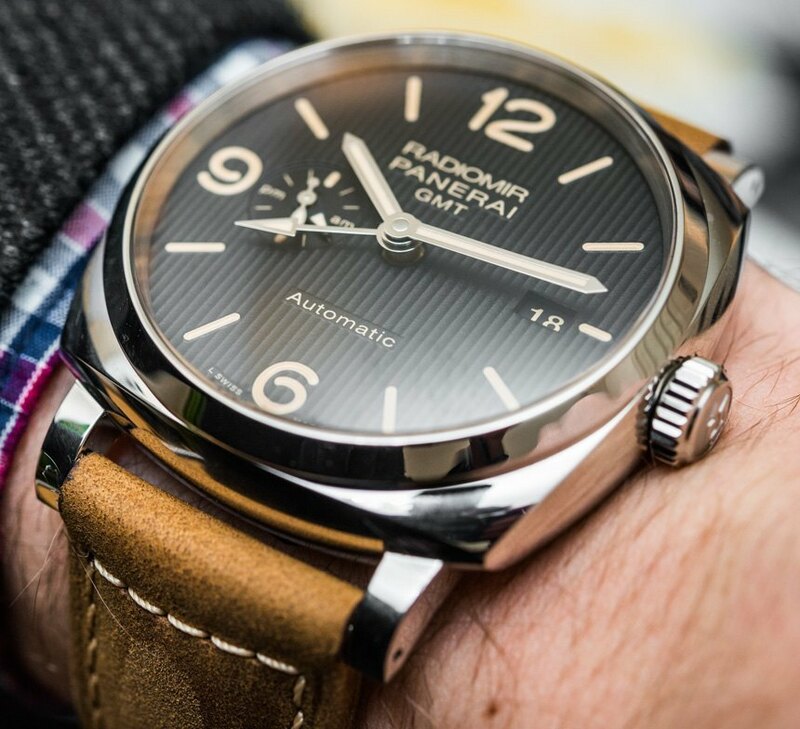 While not a 10-day power reserve model, James Stacey wrote about how many Paneristis would be clamoring for a steel version of the Panerai 1940 10 Days GMT Automatic Oro Rosso watch. 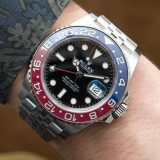 At over $35,000, one can understand why someone with a more constrained budget but love of the aesthetics and quality of that piece would be interested in a steel model. 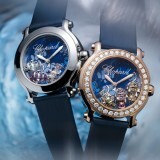 These watches are something of a cross between that watch and the Panerai Radiomir 3 Days Automatic. It’s easy for casual fans of the brand to get lost in the countless iterations they make, but I think these two lines are going to be a sure hit.